After the rough shaping is done I go over each of the four quadrants with a block plane to fair the surface and blend it with the rest of the mold. Not only does each quadrant have to be fair within itself, it must also be an exact match to each side, and each end. 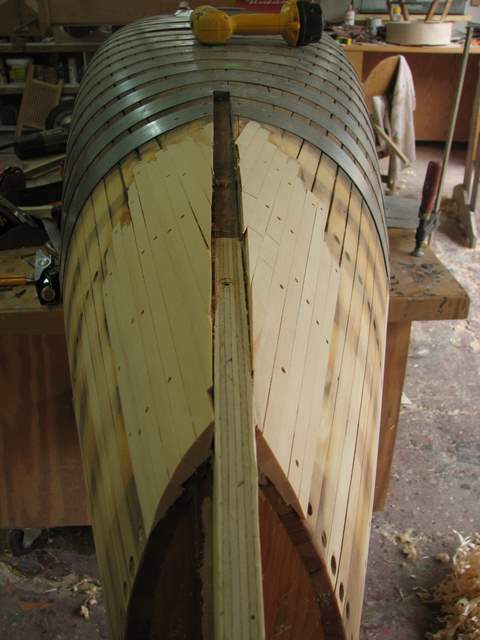 After fairing, the bare wood is treated with linseed oil, then the metal rib backing plates are put back on. 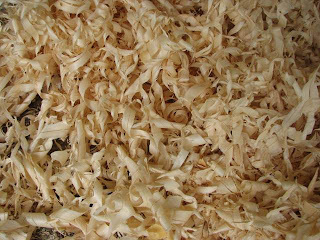 Just some of the shavings from planing the ends. 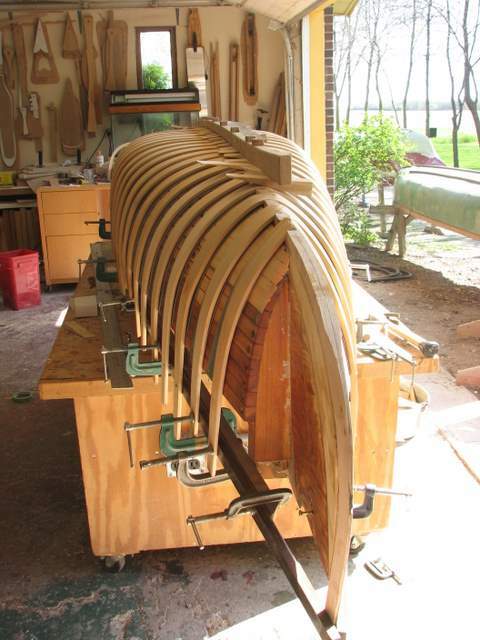 Once all is back together, the stems are shaped, the gunnels positioned, and the ribs are made and steambent on. 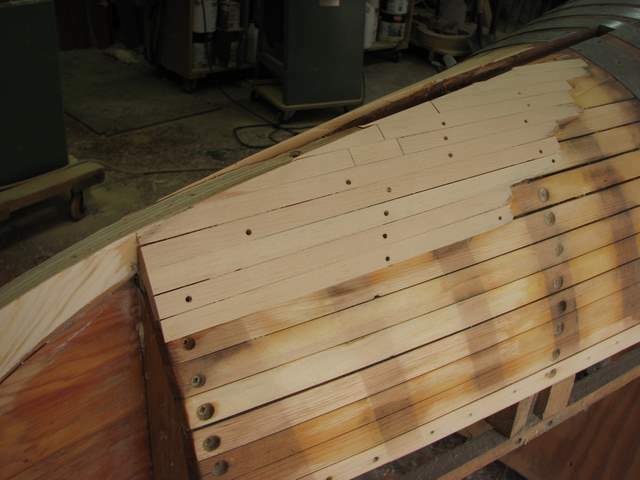 Looks simple, but this was a weeks worth of work all told.